With annual industry growth at 10 percent, it’s no secret that e-learning is a dominant consideration for types of training and there are plenty of good reasons, including low cost and convenience. 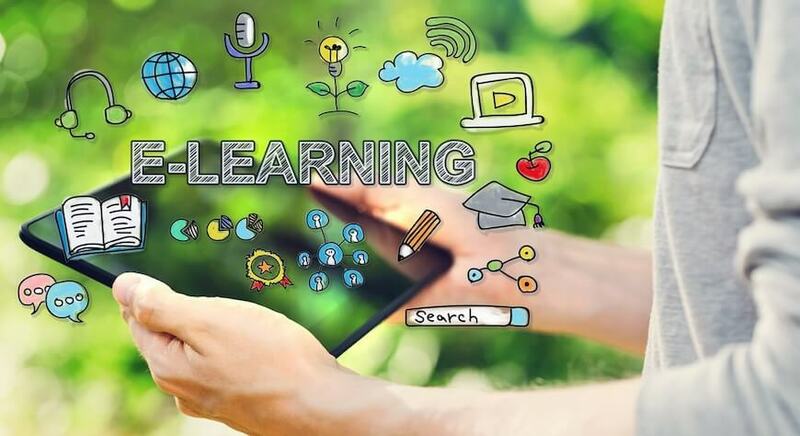 Like other high-tech industries, e-learning is constantly evolving and companies who want to stay on the cutting edge have to be updated on the latest trends. Compiled by Training Mag, here are seven developments you’ll need to watch out for in 2016. Many companies are taking a leap forward in cloud based training programs which, Training Mag points out, don’t require software installation or technical staff for maintenance. Over 30% of companies will be utilizing cloud-based training in 2016, according to a Docebo report on the subject, and that’s due in part to the convenience of automatic updates as well as ever-increasing security measures that dispel worries about the cloud. Like the entire online world, e-learning is going to get a bit more personal in 2016, says Learning Mag. This will happen as companies explore new ways to utilize the data on trainees that is naturally available within e-learning. Customer relationship management systems, human resources management systems, and learning management systems will help employers identify where each trainee needs to improve on an individual level. As data streams in, personalization will increase, making training more targeted and efficient. As noted by Training Mag, accountants and sales managers received the same training just a few short years ago. Welcome to progress. No, it isn’t Call of Duty, but by basing an educational process on our natural instinct to compete and excel during a video game, learning becomes more enjoyable and is set to be a major industry initiative in 2016. Fed by large amounts of individual data on each trainee, gamification will also be more personalized. Move over desktop computer, mobile is coming in fast. New ideas and initiatives are making mLearning just as effective as sitting in front of a computer screen, says Training Mag. As mobile technology develops its potential further in 2016, employers are going to be looking for new ways to utilize the constant connection that comes through smartphones, tablets and the like. It’s a trend that’s sure to continue well beyond 2016. Though not yet widespread, the use of augmented reality to train employees in almost every field has many obvious benefits and companies will be quick to invest in affordable, reliable options. With augmented reality, employees can train for extreme worse cases without risking life, limb or the company’s money. Besides, augmented reality is awesome. By implementing smart algorithms and templates, trainees will benefit in 2016 from exercises and tests that are generated automatically saving both time and effort while, again, making training a more personal experience. The benefits of low cost and better performance meant that automation will be a big player in e-learning beyond the year to come.